Hello Everyone, Joni here I am back with another idea using some of the images from the recent released In Bloom: Elsa's Flora and the sentiment is from Merry & Bright with Evelin T Designs. 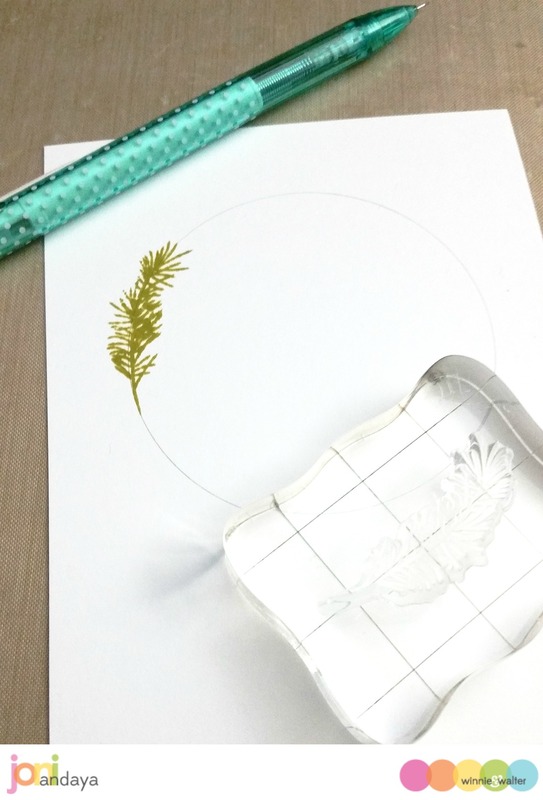 To begin I drew a circle on a white cardstock panel using pencil to guide the large and the small bough in the In Bloom: Elsa's Flora. 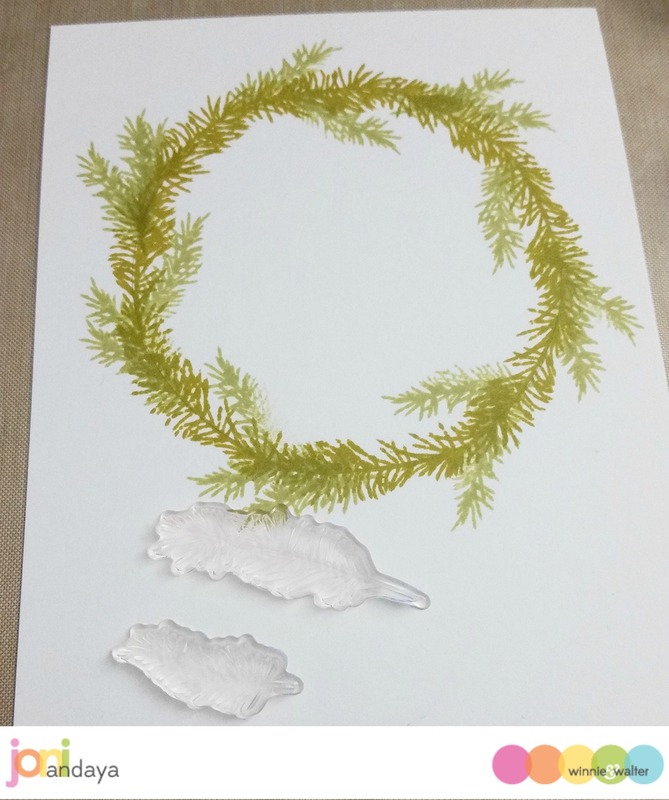 This is just another image after stamping the large and the small bough. 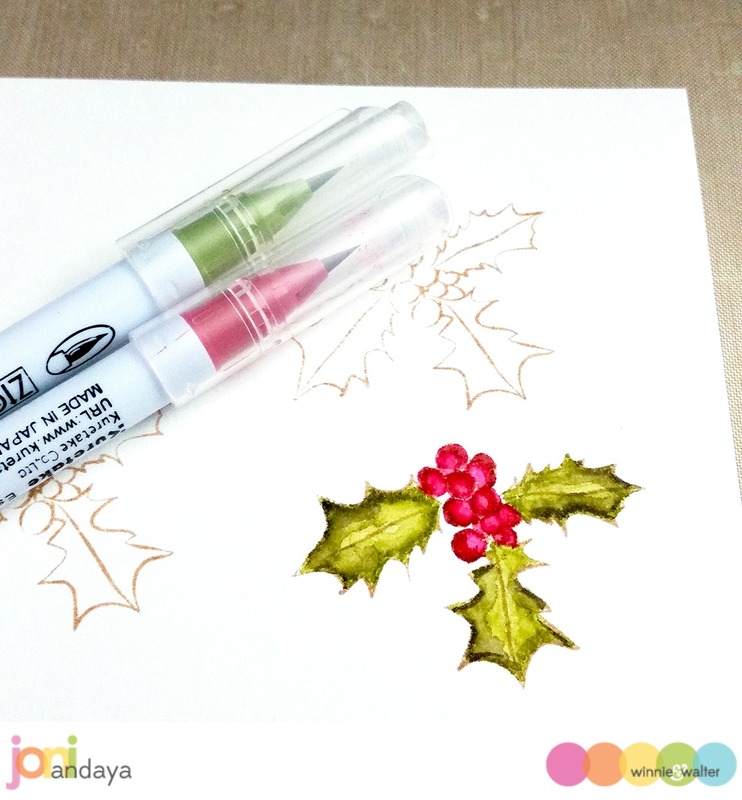 Next, I stamped the holly and berry image using a light lighter ink then I watercolored the image using the Zig Clean Color Real Brush in 046 Mid Green and 024 Wine Red. Next, I fussy cut both images then adhered on the card base with foam tape for dimension. 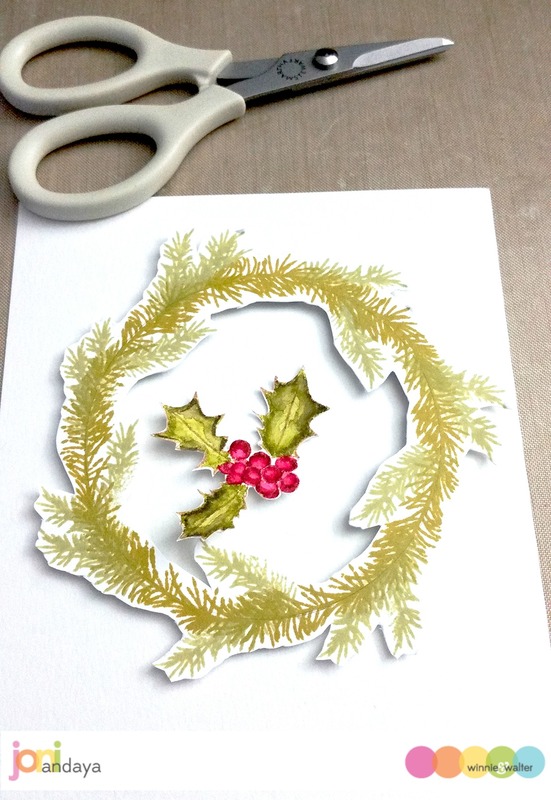 For the white card base I distressed the top first with Peacock Feather Distress ink then adhered the cut wreath and holly berries. 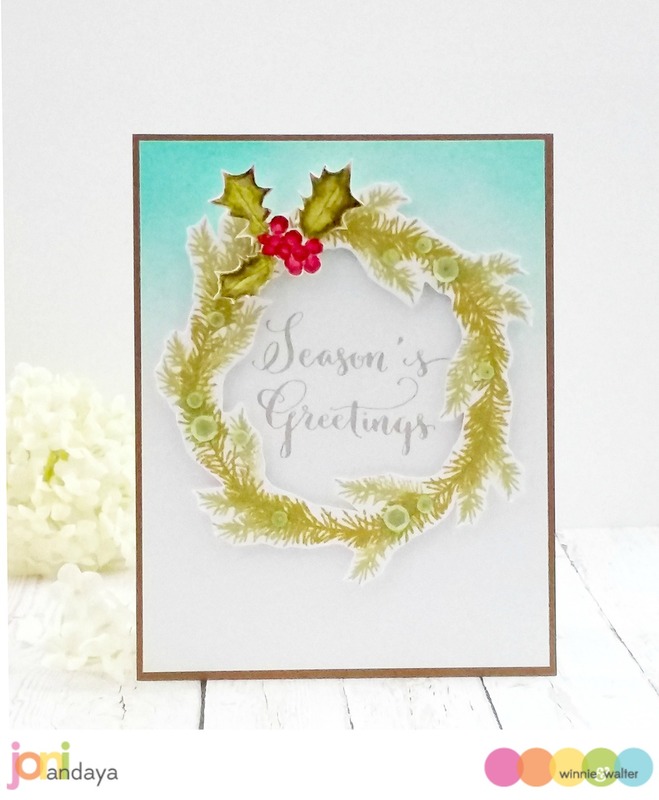 Next I also added the sentiment “seasons greetings” from Merry & Bright with Evelin T Designs. To finish off the card I added some Pretty Pink Posh Lime Sorbet in 6mm and 4mm. Joni your card is so lovely! It looks as if it were hand-painted ... beautiful! Joni, your wreath is a work of art...and blue background adds such impact! 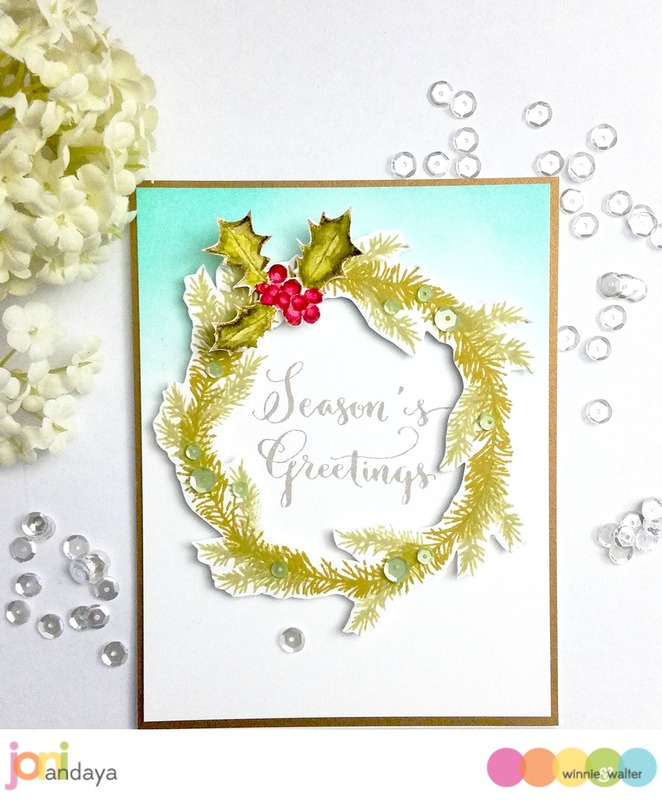 LOVE your inky wreath and holly, LOVE your ELEGANT design!! !